And there she went, straight up the stairs of the bus and into the second row. 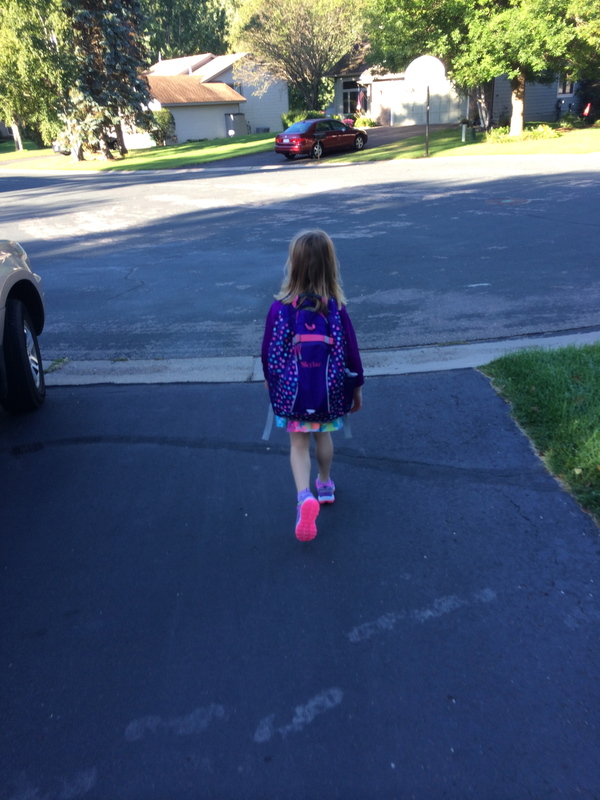 A half hour later I found her walking towards the door of her new school. Heading the right direction, but happy to see me. She found her classroom on her own and together we found her seat. Old friends were already waiting and new friends were pouring in. This kid has so many fun adventures waiting for her and I’m so proud. Proud of the person she’s become and proud of the person she is making me. Go get ’em kiddo. I love you. Have fun. And try hard.